Born and raised in New York City, Lockwood de Forest, N.A. (1850-1932) began his painting career at an early age. A student of Hermann Corrodi in Rome and Frederic Church of the Hudson River School, de Forest was accepted into the National Academy in 1898. In his adolescence he traveled throughout Europe, India, and the East, when the young artist sketched and painted to hone his craft, and scoured shops and markets for rare antiquities. During this time, de Forest became fascinated by Indian architecture and décor, and from 1879-1883 he established an interior-decorating firm to produce Indian furnishings in Ahmedabad. Around the turn of the twentieth century, de Forest began to winter in Santa Barbara, and by 1915 he had established year-round local residence. 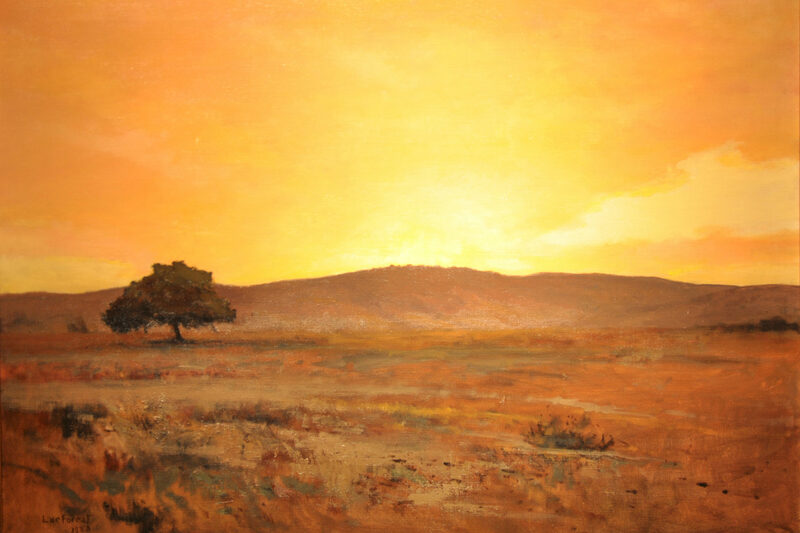 In Santa Barbara, Lockwood de Forest returned to landscape painting with an emphasis on color and light, and stated, “my idea in painting is to make everyone who looks at my pictures think of real nature and not of me or the way the painting is done. This is art as I conceive it.” This exhibition will feature paintings from the Santa Barbara Historical Museum’s collection, paired with a number of loans, and an outstanding collection of promised gifts that have not been publicly displayed in their entirety.